Today’s workplace is a pressure cooker according to Dr. Edward Hallowell author of the new book ” Shine-Using Brain Science to Get the Best from Your People“. In my interview with Dr. Hallowell we discuss the challenges that workers are faced with in the work environment today, and solutions to improving performance. Dr. Hallowell says that even the most talented people struggle to sort through an influx of information, relentless demands, and unprecedented stress. 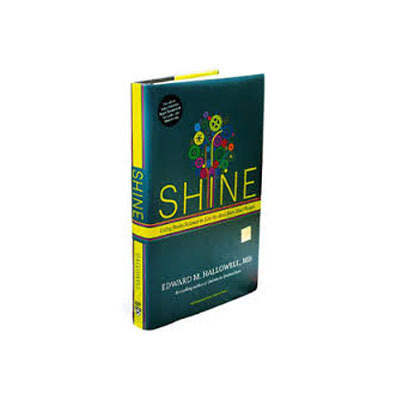 In his new book “Shine” Hallowell combines brain science with performance research to offer a proven process to help you deal with the struggles of our daily busyness. He provide the leadership of organizations with what he refers to as the Cycles of Excellence to assist in managing the human capital of the organization. There are five steps that are very important: 1) Select-Simply put put the right people in the correct jobs 2) Connect: Peak performance is accelerated if people are allowed to connect face-to face not through email. 3) Play: Imaginative engagement is ignited when people are allowed to play and have fun on the job. 4) Grapple and Grow: People really want to excel and perform on the job–provide challenging work. 5) Shine: It feels good to do good, and it feels good to get the deserved recognition for a job well done. Dr. Hallowell has created several modern paradoxes that I believe are certainly worth mentioning. The first modern paradox: while we have grown electronically super connected, we have simultaneously grown emotionally disconnected form each other. The paradox can lead a person to modern loneliness which is an extroverted loneliness, in which the person is surrounded by many people and partakes of much communication but feels unrecognized and more alone that they would like. The phenomenon of overloaded circuits leads to the second modern paradox: people’s best efforts often fail not because they aren’t working hard enough, but because they are working too hard. The brain has is limits. The tsunami of data comprising modern life can easily flood the brain and rot it. Working hard now becomes like bailing out a sinking boat with a can, instead of plugging the leak. 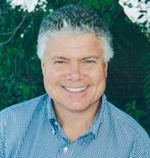 I hope you enjoy this interview with Dr. Edward Hallowell as he reveals the findings of his research and life’s work. You can also visit Dr. Hallowell’s website by clicking here.